Two dozen Clean Cities Coalitions across America will participate in the biggest, best publicized, AFV Road Trip in history! The Odyssey Day On The Pier 2012 event will be hosted by Antelope Valley Clean Cities Coalition and Rick Sikes, City of Santa Monica Fleet Superintendent. 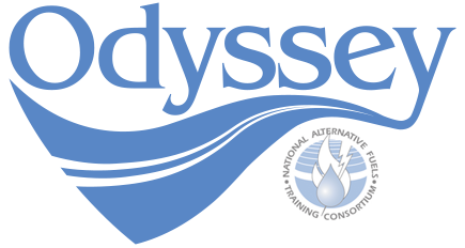 Odyssey day is a bi-annual event, sponsored by the Dept of Energy and the National Alternative Fuels Training Consortium (NAFTC,) designed to highlight alternative fuel vehicles and sustainable transportation. Odyssey Day on the Pier will host an AFV Cruise-In for alternative fueled vehicles, which will be given free parking inside the event area. The ‘Clean Across America 2012 CNG Road Trip Launch.” Odyssey Day on the pier will also serve as the launching point for the Clean Across America & Back 2012 CNG Road Trip, which will visit Clean Cities Coalitions in virtually every state they touch and help spread the word about sustainable choices in transportation. Later at Robertson’s Palmdale Honda, there will be an Alternative fuel vehicle Cruise-In and be the first refueling stop for the cross-country – Green Across America Natural Gas Road Trip, the biggest event of its type in history. Speakers include: Rick Carr, General Manager at Robertson’s Palmdale Honda, Bret Banks, Operations Manager at the Antelope Valley Air Quality Management District and local city officials. Clean Cities Coalitions drive change in the transportation sector. In October, coalitions across the country will pull together to bring that message to the masses. The Clean Across America & Back CNG Road Trip will participate in 5 CNG Station Grand Openings, tours of bio-methane facilities, natural gas drilling operations, Odyssey Day events, including the National Odyssey Day Kick-Off Event in Indianapolis, Indiana, visit the Tulsa Gas Technologies facilities in Tulsa, Oklahoma and much more! Learn more by going to www.GreenAcrossAmerica.com, official home for the CNG road trip. If you look over the route map and discover your coalition is on the route, but you don’t have an event scheduled, let us know and we will accommodate a photo opportunity for your coalition as the beautifully wrapped 2012 Honda Civic Natural Gas, being supplied by American Honda, passes through your area. There will be live gPS tracking of the road trip car, courtesy of GreenRoad, Inc., a fleet telematic solution provider and Clean Cities Stakeholder. Buy Green Miles! Green miles are our way of letting you support the our mission of outreach and education. Green miles help us drive change and educate the public and private sector about alternative fuels and sustainable transportation. Green Across America is more than a cross country AFV trip. Its about driving change across America. Buy your Green Miles today and make a difference. You can follow the trip activities and discussions in the Road Trip Community Forum, like us at www.facebook.com/CleanAcrossAmerica. or follow the trip news at www.CNGChat.com in the “Road Trip Reports” forum. Event Highlights: Antelope Valley School Superintendant and College President Jackie L. Fisher Sr., Ed. D., welcomed everyone and spoke of his support for the deployment of the advanced transportation technologies that improve air quality and simultaneously create jobs as potential careers for his students. Brett Banks from the Antelope Valley AQMD also spoke on behalf of the accomplishments made possible by financial incentive programs through federal, state, and local means. The remainder of the event targeted students in the Automotive and Technology Departments of Antelope Valley College. Auto tech and engineering professors spoke about the career opportunities made possible by the emerging energy economy. In support of the event, an Antelope Valley School Clean Bus along with other alternative fuel vehicles were on display, courtesy of Antelope Valley Clean Cities Coordinator Curtis Martin and Robertson Honda.